Home » 60s » Advent calendar, 1960s. Vintage German Christmas. Advent calendar, 1960s. 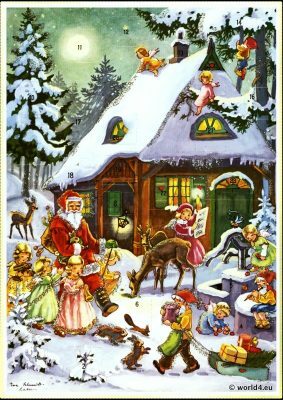 Vintage German Christmas. German Christmas. 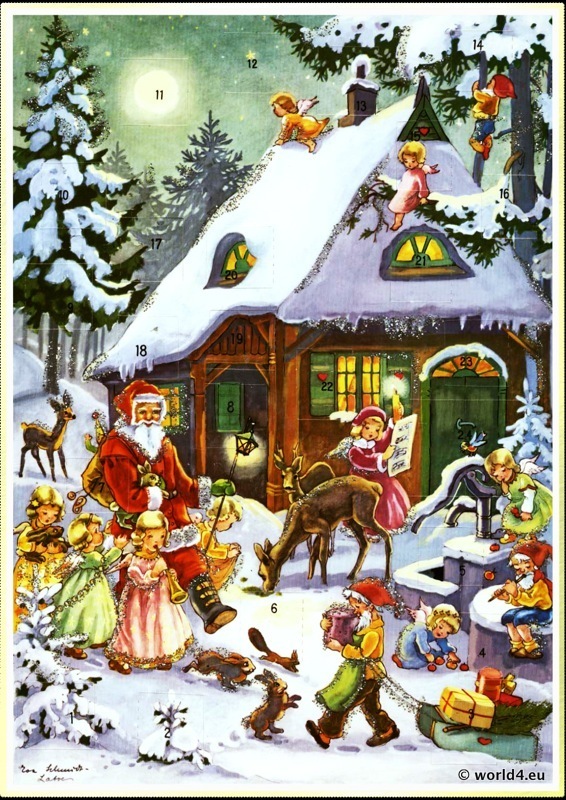 Beautiful old Advent calendar from the years around 1960. Magical Illustration of a snowy forest landscape with angels, St. Nicholas with gifts, deer and dwarves. In the center of the image is a snow-covered house on Christmas Eve, festive lights, just before the presents. Next PostRemains of the Berlin Wall. Neukölln in 2012.